Lemosho Route Kilimanjaro was once the area on the flanks of Mt Kilimanjaro where you would see a lot of game; so much so that an armed ranger had to walk with you. Sadly, there is nowhere near the numbers of game on Lemosho route any more, but it is one of the more remote regions of Kilimanjaro. Lemosho is a longer approach route than others and so best done in 7-8 days to allow your body to acclimatise to altitude. Lemosho quieter route with a perfect balance of scenery, less people. Lemosho route climbs Kilimanjaro from the west at Londorossi gate, after a drive of about 3 hours. The route heads through the forest on an unspoilt less popular trail up Shira Plateau. The route then crosses Shira Plateau from west to east on a relatively easy day, joining in with Machame route near Lava Tower. Then lemosho route traverses Lava Tower down to Baranco Camp descending in altitude. Then continuing on the southern circuit it leads up through Barranco Camp to Karanga Valley and to Barafu Hut. What is the altitude of Kilimanjaro? It is 5895m or 19,341 ft above sea level. How long does it take to climb Mount Kilimanjaro on Lemosho Route? The shortest number of days required for is 7, but by the time you have added on arrival and departure days it is 9. As it is a longer approach route it is best done over 8 or 9 days to increase your changes of success. What distance does Lemosho Route cover? When is the best time to trek along Lemosho? June to October. Kilimanjaro is equatorial which means minimal variation between seasons. However, there are two rainy seasons in Tanzania, the first is from March to May (short rains) and November to December (longer rains) which can make the forest track muddy and of course, snow and/or rain higher up. Is Lemosho so different to Machame? It is in the sense in that it crosses the entire lower flanks of Kilimanjaro massif from west to east in a pleasant, relatively undulating hike. Also, because it is best done over 8 days, it has great acclimatisation potential. Do we stay in tents or huts on Lemosho? How would you grade the trek along Lemosho for difficulty? Day-1: Kilimanjaro International Airport arrival and transfer to hotel. This morning we stop briefly in Moshi and then drive about 5 hours to Londorossi Park Gate at 2200m . After completing park formalities for Lemosho Route, we drive for another 11km to Lemosho Glades at 2000m. From here, we trek about 3 hours to Mkubwa, our camp. After breaking camp, we hike to Shira Camp 1 located near a stream. We hike through moorland shrub taking in views of Mt Meru and this afternoon we have the chance to film incredible sunsets. The route is relatively easy trek across the plateau that leads to Shira Camp 2 on moorland meadow. A variety of walks are available on the plateau making this excellent for acclimatisation to the gains in altitude. Shira is one of the three volcanoes on the Kilimanjaro massif. After breakfast, you hike though the moorland scrub and enter into a moonscape of semi-alpine desert, while you hike constantly upwards toward Lava Tower. As you approach an altitude of 4200m, you may start to feel a shortness of breath as the effects of altitude take hold. After Lava Tower, you trek into a beautiful valley to Barranco camp where you spend the night at a lower altitude than Lava Tower. Today follows the golden principle of climb high and sleep low on Lemosho Route. Early morning at around 07h00, the Barranco Wall lies ahead which you climb, to bring you out to a great spot with incredible views over Moshi and the clouds below. The route then descends down through the Karanga Valley and eventually come out at Karanga Valley Camp. Barafu Hut is another 2 hours trek higher up towards Kibo Crater. This morning is a short 3-hour scenic hike to Mweka. Climbers who reached Stella Point (5685m) are issued with green certificates and those who reached Uhuru Peak (5895m) receive gold certificates for your Lemosho Route on Kilimanjaro. Today you are transferred to Kilimanjaro airport for your flight home. Dining tent, chairs, utensils etc. When is the best time to climb Mount Kilimanjaro? Which route should I choose? How do I dress for the cold? What hiking boots should I buy? How can I train for altitude? How will the altitude affect me on Kilimanjaro? Is Kilimanjaro technical? How long does it take to climb Mount Kilimanjaro? How fit do I need to be for Kilimanjaro? Do I need to undergo specific medical tests? What gear do I need on Kilimanjaro? 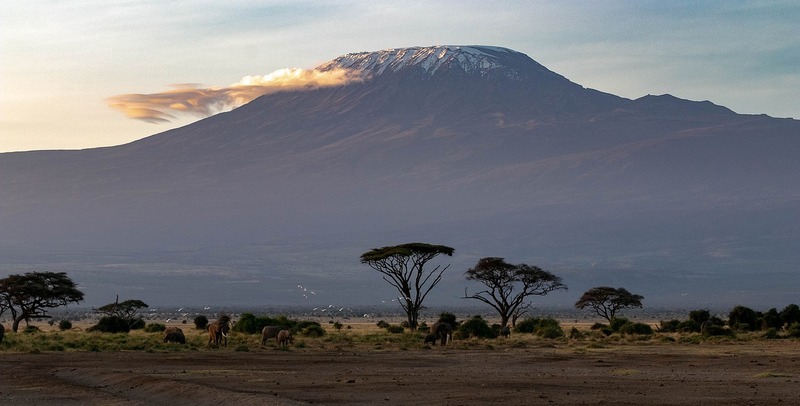 Should I do Kilimanjaro during a full moon? What if I have to turn back? Books and other resources?